Three phase voltage measurement using pic microcontroller project: Hi everyone I hope you are fine and doing well. 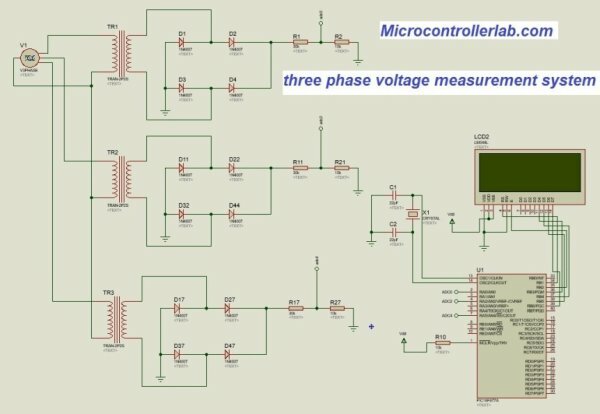 In this tutorial you will learn about how to measure three phase voltage using pic microcontroller. Three phase voltage measurement has many applications in power as well as electronics field. Three phase voltage measurement system is used to measure voltage of three phase transmission lines, three phase generator, three phase transformer, three phase induction motor and any other three phase device. This project can be used for the protection of these devices from over and under voltage. Over and under voltage protection systems are designed to protect these devices for damaging under over and under voltage condition just like a circuit breaker. But circuit breaker usually works on mechanical phenomenon and in this digital world, every electrical project or electronic project is become more and more digital. So protection devices are also using digital intelligent circuit breakers. 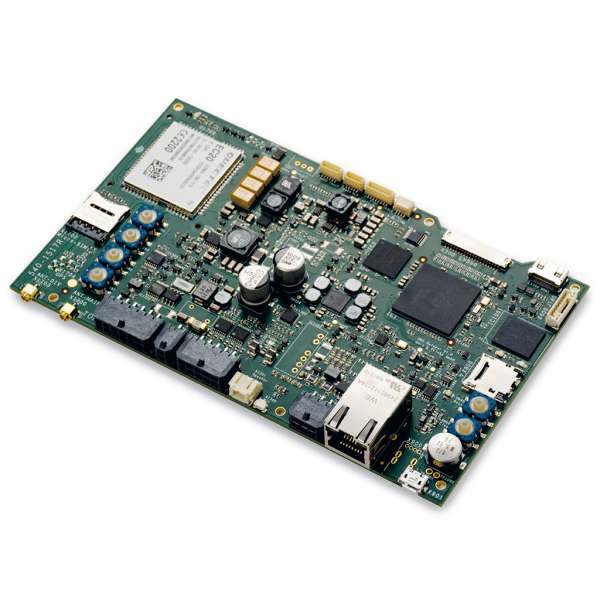 In these devices microcontrollers are used to sense voltage and current of every phase. So this three phase voltage measurement system is useful for solid state electronic relays. Before we start our discussion on three phase voltage measurement system, you should know how to use pic microcontroller for ac voltage measurement. I recommend you to read this ac voltage measurement using pic microcontroller article before going further. In this article I have discussed in detail that how to measure peak voltage of sine wave and how to use ADC of pic microcontroller to measure sinusoidal voltage which are changing with time. Step down transformer : Step down transformer is used to step down voltage from 220 volt to 12 volt. Because we can not measure higher voltage directly with pic microcontroller or any microcontroller. Voltage divider circuit: After full wave rectification, voltage divider circuit is used. Voltage we get at the output of full wave rectifier is around 17 volt dc and 12 volt RMS voltage. Again this voltage is more than a range of pic16f877a microcontroller. Pic16f877a operating voltages range is between 0 and 5 volt. So maximum voltage which we can measure with controller is 5 volt and minimum is 0 volt. So we need to used voltage divider circuit to step down voltage further. PIC microcontroller: After voltage divider circuit, Pic16f877a controller is used. Output of voltage divider is connected with analog channels of controller which can read analog voltage and convert it into digital value. This measured digital value is used to calculate actual ac voltage with the help of mathematical calculation in programming. LCD display: Liquid crystal display is used to show values of voltage of each phase. Circuit diagram of three phase voltage measurement system is given below. As you can see in circuit diagram, we are using three phase generator and voltage of each phase is measuring with same circuit. Phase one, phase two and phase thee measurement circuit are same. So working for all phase remain same as I discussed above for every component. In circuit diagram we used labels to make connection of output circuits with microcontroller. So make sure to make actual connection when you design this circuit. 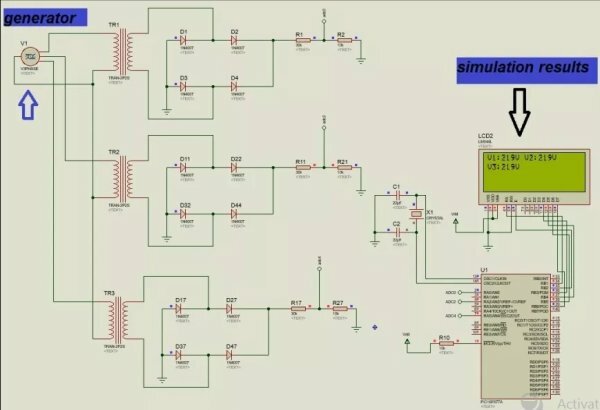 Simulation results of three phase voltage measurement system is shown below. V1 shows voltage of phase one, V2 shows voltage of phase 2 and similarly v3 shows voltage of phase 3. It is very easy to write code for this system. you should know how to use analog to digital converter of pic microcontroller and how to interface LCD with pic microcontroller. Other than this you just need simple c programming concepts. To measure ac voltage, we have divided each positive cycle into 400 steps. With 5oHZ frequency time of each positive half cycle is 10ms. So we are talking 400 samples in 10ms to get maximum voltage or peak voltage of sine wave. Maximum value finding algorithm is used to find maximum value from these 400 samples. After finding maximum sample, digital vlaue of this sample is converted back into voltage by multiplying in with resolution factor of pic16f877a adc. After that voltage divider and transformer turns ratio is used to get actual voltage. This actual voltage is displayed on LCD.